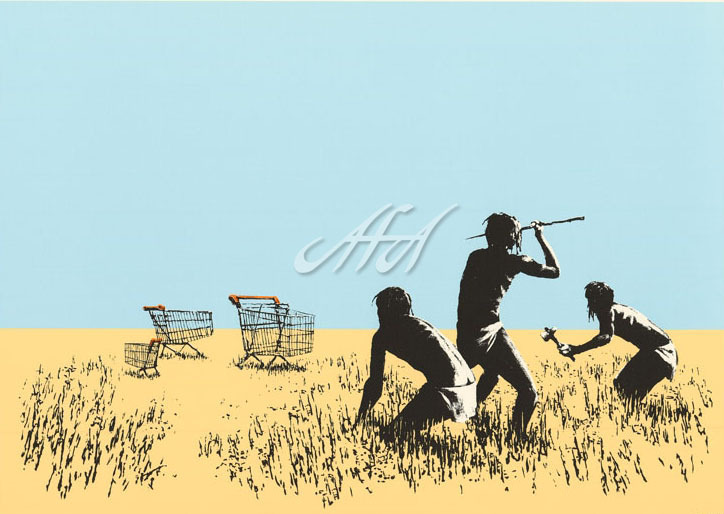 Banksy Artwork — American Fine Art Inc.
Banksy is a street artist whose identity remains unknown. His career was seeded as an artist in the early 1990’s in Bristol’s graffiti gang DryBeadZ Crew. His pieces often involve war, capitalism, greed, hypocrisy and politics that often spark controversy. His subjects often include rats, policemen, children, and members of the royal family. 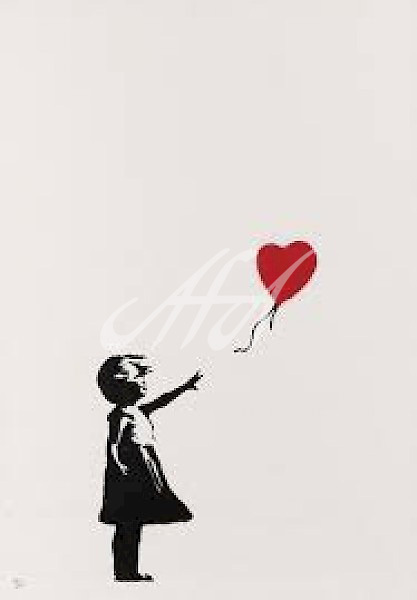 Not only has Banksy’s street art gave rise to his popularity, but also the release of the 2010 documentary Exit Through the Gift Shop which was nominated for an Academy Award helped add to the notoriety. His genius exhibition Dismaland, a dystopian playground in the UK, also made headlines despite it being open for only five short weeks. His works of art bring bold and sometimes taboo topics to light for viewers to digest. 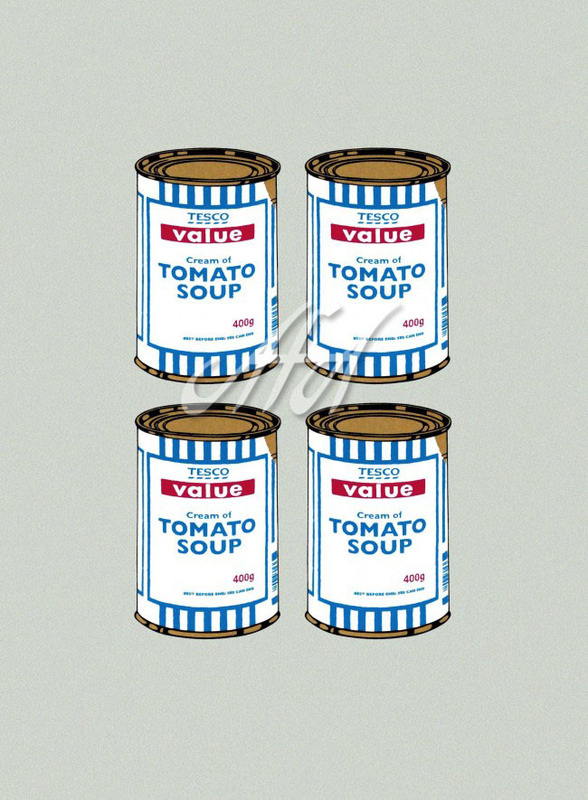 Banksy has transformed the idea of graffiti into street art, proving he is part of the ever-changing definition of art. Banksy also has opened up a hotel Called “Walled Off Hotel” in Bethlehem. In 2018 Banksy has returned to New York doing various stencils around the city, with each new city he does it is sure to bring in thousands of art fans to see the works in person. 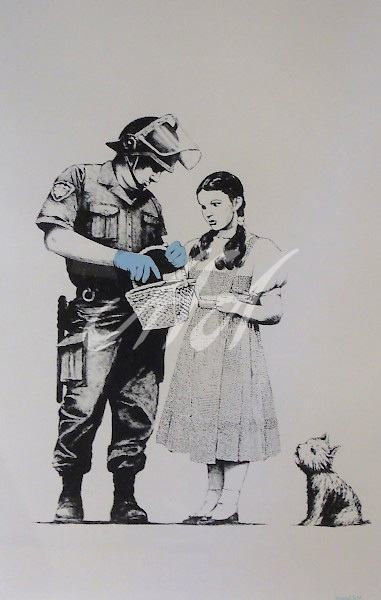 All of the pieces he does in public are documented on his website for authenticity and recently Banksy has decided to make limited edition prints as well as paintings to be sold as fine art. 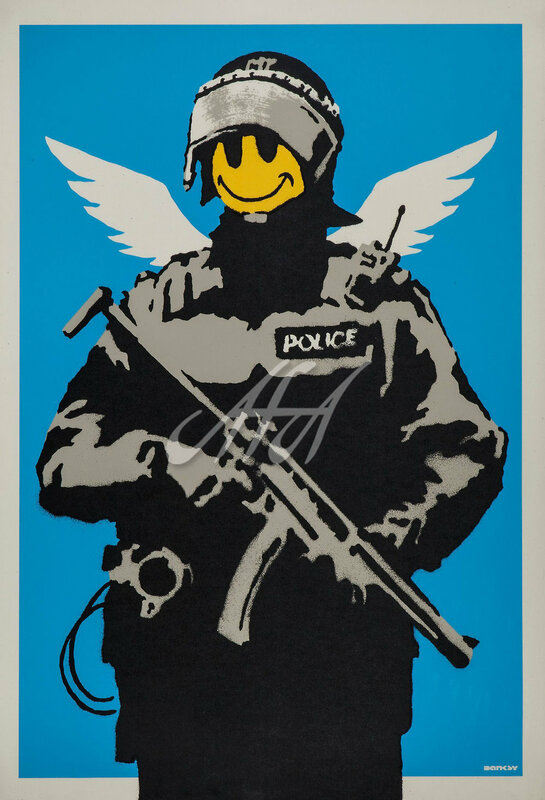 Banksy does not approve of sales of his public work, but does approve of his limited editions and paintings to be sold for the home. Just as any great artist his style and motifs change along with the changing times. 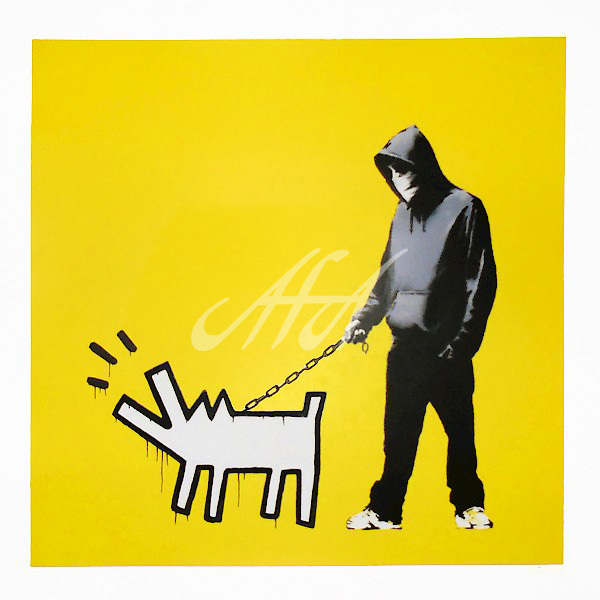 American Fine Art, Inc. is proud to feature the original works and limited editions of Banksy. Visit our 12,000 sq. ft. showroom in Scottsdale, AZ or call today. Our website is offered only as a limited place to browse or refresh your memory and is not a reflection of our current inventory. If you need to learn more about collecting, pricing, value or any other art information your International Art Consultant will assist you and give you the one on one attention you deserve. We hope you find our website helpful and look forward to seeing you in Scottsdale soon.